Good safety performance, high temperature, can guarantee continuous production of products, the use of high efficiency. 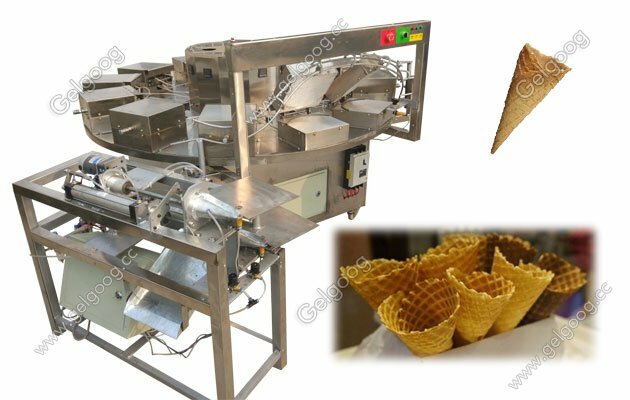 Waffle Ice Cream Cone Making Machine Manufacturer 1.The Waffle Ice Cream Cone Making Machine consists of 15 units consisting of a single egg roll machine, automatic cutting machine, automatically after mature egg rolls Open, one-man operation, convenient and practical. 2 .The use of high quality electrical components, the use of non-polar thermostat thermostat, temperature freely. 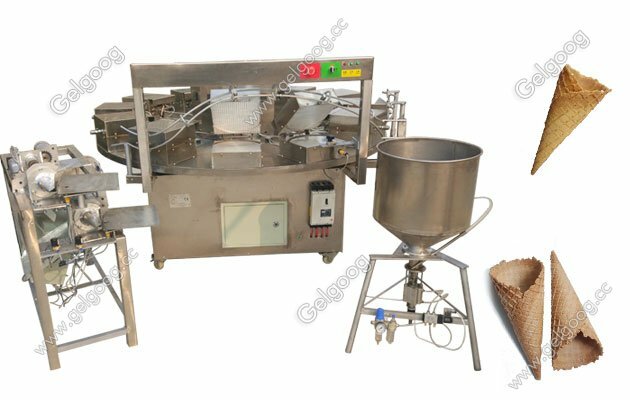 3 .good safety performance, high temperature, can guarantee continuous production of products, the use of high efficiency. 4 .can make egg rolls and ice cream cone wafer biscuit. 6.Eggs look beautiful, the entrance of crisp, making simple investment, high returns.Automatic ice cream waffle cone is the most popular current food. Do you want to start making ice cream cone? 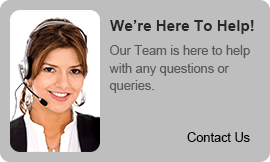 Are you looking for a detailed ice cream cone for making business plan samples? Anyone can start ice cream making business as a family and small-scale foundation. 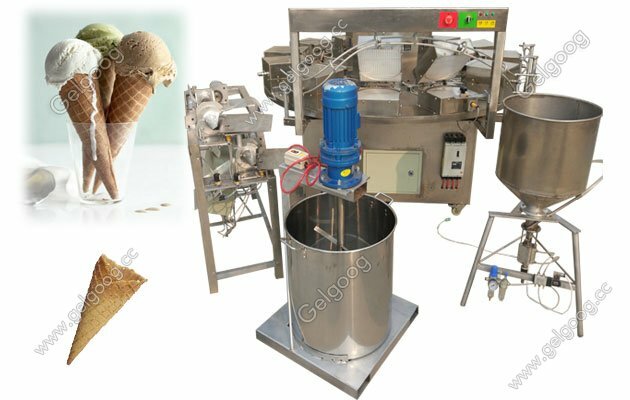 All kinds of flavors and different forms of ice cream are supplied all year round, and demand is increasing year by year. The most popular service mode is the cone, because it is clean and clean, easy to store, and has no processing requirements. As ice cream sales continue to increase, demand for ice cream is increasing. This is a durable consumer product.